Keep a few spare spray bottles or mixing bottles in strategic places. These rugged, reusable, recyclable, high-density polyethylene empties let you take advantage of our money-saving concentrates and refills. 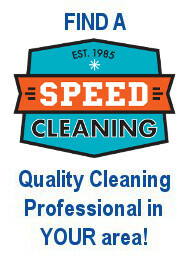 Use them to share the cleaning load with your family and friends. They are labeled according to the product they're meant for using. 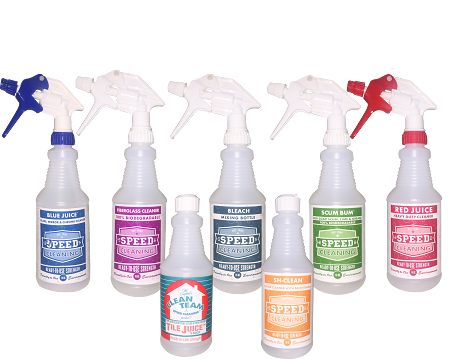 Spray bottles are topped with a reliable, color-coded, heavy-duty trigger sprayer that adjusts from a fine spray to a steady stream. 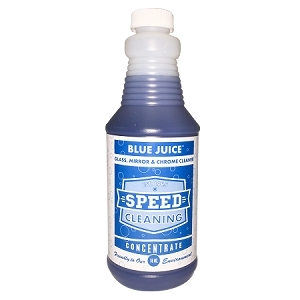 Other bottles are capped with an easy-open, sure-shutting squirt top. All are built to last. 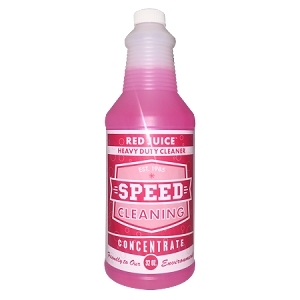 Back before I heard about Clean Team products, I would save grocery store cleaner spray bottles to use for other purposes. It was frustrating, because the sprayer invariably quit working within a month or two. 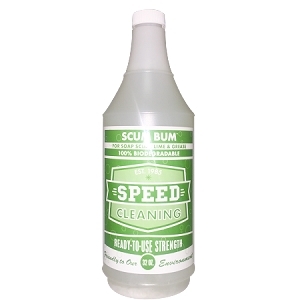 I started using Clean Team products six years ago, and not one sprayer bottle has quit working. I have a set of red juice, blue juice, and tile juice below every sink in my house. Every sprayer bottle is going strong, and probably will for at least six more years. 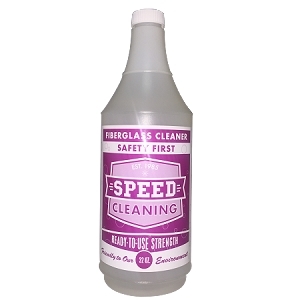 I had the same cleaning bottles for about 15 years!!! And I use them in my own home at least once a week.